**SOLD - THANK YOU***A very talented artisan and good friend of mine, Jane Theobald, hand made the wonderful nantucket basket attached to the blue painted sewing box that is aged and distressed. I also aged the basket to make it look like "old" cane. 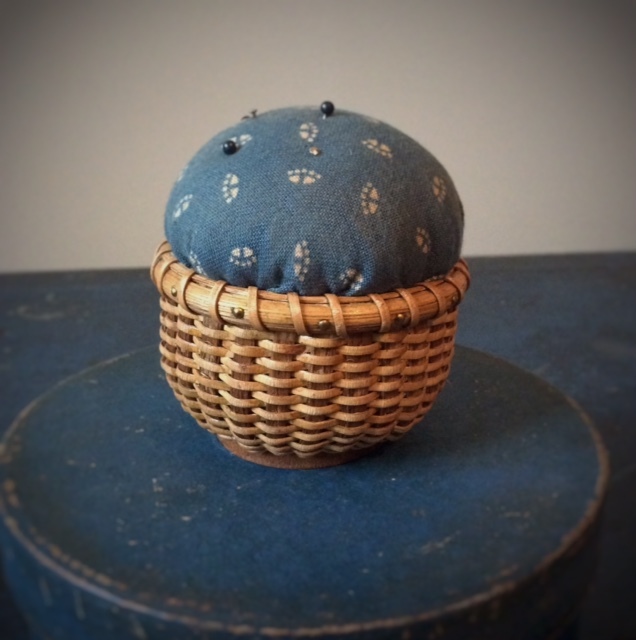 The pincushion in the basket is made from reproduction fabric. The box is 4 1/2" in diameter and 2" high. 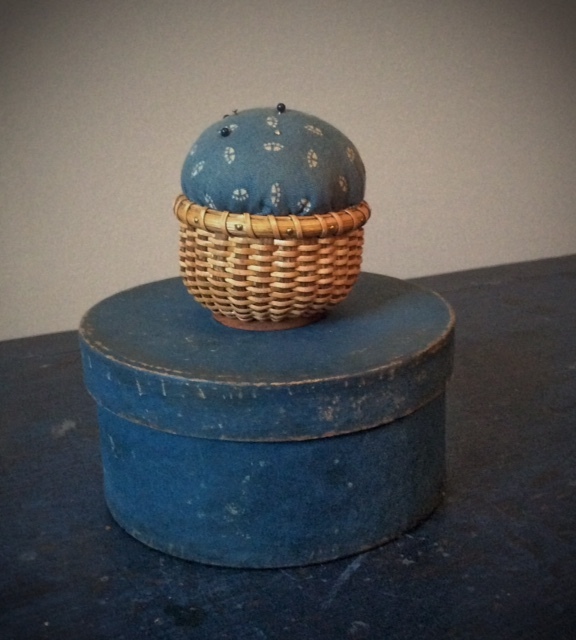 The sweet little basket measures around 2" in diameter and 1 1/2" high. Please click on the main photo for a closer image. Asking $55 plus shipping.